All those working under the Department of Defense can have a clearer and brighter future because of a Credit Union that provides them a good place to invest. Navy Federal Credit Union is offering certificates of deposit at high rates to help DoD employees have a more secure financial future. Here, employees can enjoy saving as well as investing at the same time. Navy Federal Credit Union has more than three million members from all over the nation since 1933. They perform excellent financial services that potential and present members can avail of and choose from. This is known as a primary institution with $49,370,838,303 in total assets as of 2012. Basing on the numbers, Navy Federal Credit Union has proved the effectiveness of its program and services. Indeed those individuals who are eligible for membership at this Credit Union has got it good. In terms of their certificate of deposits, their rates are updated and very competitive. People can choose between the short and long terms depending on which term suits them best. To those who will pick the shorter term, they can pick the three month period. With a $1,000 minimum amount, the APY or annual percentage yield is 0.50% while for those who will open with a minimum amount of $50,000 the APY is 0.60%. By giving a higher interest rate for bigger amounts, members are encouraged to save more and reap bigger rewards in interest. For the one year term and a minimum deposit of $1,000, the APY is 0.85%. On the other hand, people can also pick the three year period with an annual percentage yield of 1.25% for both the minimum deposits of $1,000 and $10,000. These are just some of the terms that people can lock in with. In conclusion, employees or family members under the Department of Defense should definitely check out Navy Federal Credit Union. In this way, they will have a good future ahead. Navy Federal Credit Union does it again. Right now, they are offering an extremely high 1 year CD rate with a 3.00% APY. This rate is by far one of the highest available among banks and other credit unions considering the term. The special certificated of deposit is called the Special Easy Start Certificate with a low minimum deposit of only $50. This CD has a term of 1 year with a whopping rate of 3.00% APY. The deposit is also compounded either daily or monthly. Right now, the highest 1 year CD nationally available from banks is from CIT Bank at only 1.15% APY. Credit Unions, being known for giving higher rates do offer much better rates but almost none as good as what Navy Federal is giving. Other 1 year CD’s from credit unions are at 1.26% from First Credit Union, 1.20% from Alliant Credit Union, and 1.15% from Melrose Credit Union. The only other credit union that beats this rate is from Patelco Credit Union at a promotional rate of 5.00%. Other interesting rates from Navy Federal Credit Union includes their 7 year CD with a 2.80% APY. Most of the rates from the credit union aren’t as competitive as some banks and other credit unions, but they are still higher than the national average. This institution has been known for giving great interest rates and mortgages to their members. Membership is exclusive to some criteria such as being part of the Armed Forces, employed in the Department of Defense, relatives of qualified persons, and extended family. More details on membership can be found on their website. They also provide an eligibility wizard for you to easily determine if you are qualified to be a member or not. Navy Federal Credit Union is one of the most established credit unions in the nation. It is also insured by the NCUA and it has its roots since 1933. With the best CD rates banks are offering at 1.35%, finding a certificate of deposit with an annual interest rate of 3.5% can be startling. But indeed it can be done. The Navy Federal Credit Union is offering a chunky interest rate of 3.5% in their 12-year certificate of deposit. If this already sounds too good to be true, it gets even better. The Navy Federal Credit Union is only imposing a minimum deposit of $50. Plus your money will be compounded daily. That means more earnings for the depositor. The only tricky thing to this is, whether who can open an account. The Navy Federal Credit Union does have some requirements when it comes to membership. Only those who have served in the Army, Air force, Department of Defense and of course, the Navy can be eligible. However, this membership also extends to family members. And once these family members have joined, or opened an account, they too will be able to extend the membership opportunity to their family members as well. The Navy Federal Credit Union also offers different certificate of deposit packages which depositors can choose from. It offers the special, standard, low minimum, jumbo and IRA packages. The IRA certificate aims to help members plan for their retirement, and to help them reach their financial goals. 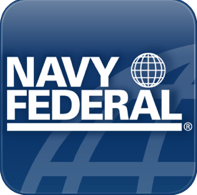 Aside from certificates, the Navy Federal offers a wide range of services, ranging from mortgages, money markets, credit cards, retirement and insurance, and even gift cards. Considering the slight exclusivity of membership, those who are eligible are lucky to be able to take advantage of the 3.5% CD. Having a rate that high at this time is certainly a feat, one that only Navy Federal can accomplish.